*Reservations cannot be changed, are pre-paid and non-refundable. If cancellation or change to reservation takes place, guest will forfeit total room charge. Blackout dates or other restrictions may apply. 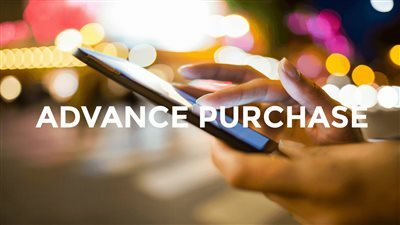 This Advance Purchase rate cannot be combined with any other offer, sale promotion, or prior purchase/reservation. Void where prohibited. Rates are subject to change.